One of tech business incubator University of Bath Innovation Centre‘s resident companies called Propagator has developed an app aimed at people suffering from (or wanting to avoid) incontinence problems. With urinary incontinence affecting over 60% of women in the UK at some point in their lives, often in association with child-birth, this app is already proving to be a success. We caught up with Wyc Slingsby (pictured left), co-founder and Technical Director of Propagator, to find out more about the medical app that’s helping to change people’s lives. “Propagator teamed up with a leading senior women’s health physiotherapist from the NHS who is passionate about helping people, but also about spreading the word that help is there for this condition,” say sWyc. 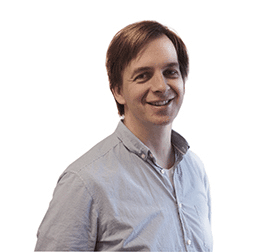 “It’s effective, and you don’t have to just put up with leaks,” says Wyc Slingsby, co-founder and Technical Director of Propagator. The physiotherapist wanted a way to help her patients remember to do the exercises she set them and to monitor their progress – an app was the obvious tool to help. The app can be tailored to a specific exercise programme and set to remind you when to do your exercises. It is simple to use, discreet, informative and has helpful visual and audio prompts to support your exercise programme. What’s more, it maintains a record of the number of exercises you have completed. “There is lots of research and evidence demonstrating the efficacy of properly-performed Pelvic Floor Muscle exercises in the treatment of these conditions, and it is the first line of treatment following the NICE guidelines, however, people often forget to actually do the exercises they have been set or they don’t do them right,” Wyc says. 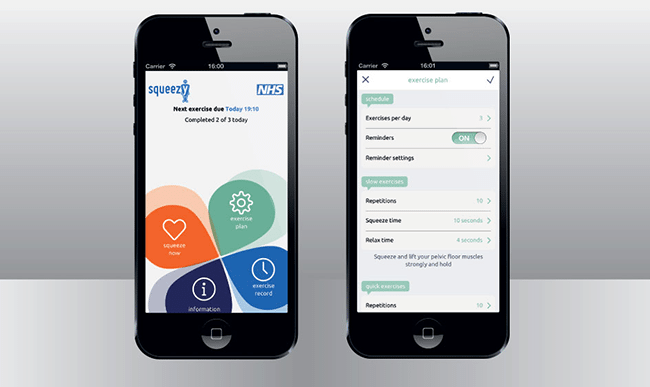 “We launched Squeezy as an iPhone app about 18 months ago, and following amazing reviews and patient feedback, including some very touching life-changing stories, we released an Android version six months ago,” says Wyc. Since then Propagator has also launched a version aimed at men, who also need help with these exercises, typically following prostate surgery. 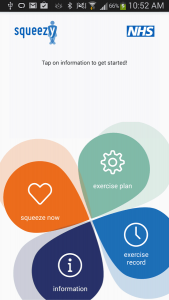 Recently an academic article was published in the Journal of Pelvic, Obstetric and Gynaecological Physiotherapy reviewing 22 mobile phone apps aiming to do similar things to Squeezy. “We’re delighted that Squeezy came out on top, being the only one reviewed and approved by the NHS and the only one containing peer-reviewed evidence-based information on the condition and its treatment,” says Wyc. Thanks to Wyc for taking the time to talk to us. You can visit the Squeezy app site for more information or download Squeezy from the App store. You can also follow news from them on Twitter @squeezyapp and while you are there why not follow us too? @Techsparkuk. Kuls is a freelance editor and writer, with over a decade's experience in CG and tech. Previous clients include AMD, Framestore, HP and 3D World magazine.